76 Acres M/L of a nice laying farm. This farm has good soils and is well tiled. 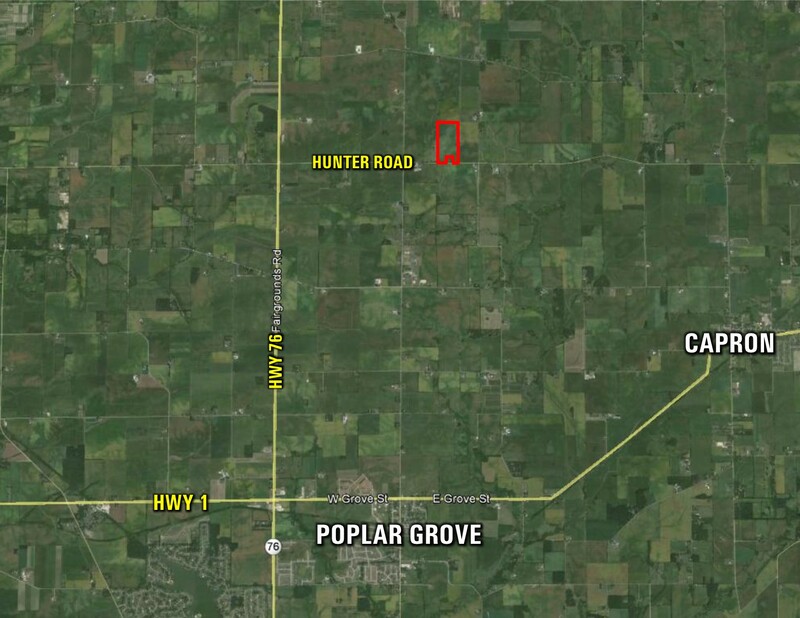 West 1/2 Southeast 1/4, Section 30, Township 46 North, Range 4 East, excluding acreage. Exact legal to be taken from abstract. Northeast of Poplar Grove on Hunter Rd. Owner is a licensed real estate broker in the State of Illinois.